In 33 states, graduation rates for students in special education were below 70 percent, according to the analysis. Fewer than half of such students graduated in South Carolina, Louisiana, Mississippi, and Nevada. The report clarifies that “most students receiving special education services are diagnosed with a specific learning disability, a speech or language impairment or other health impairment.” Other such impairments include attention deficit hyperactivity disorder (ADHD), epilepsy, as well as Tourette’s syndrome. 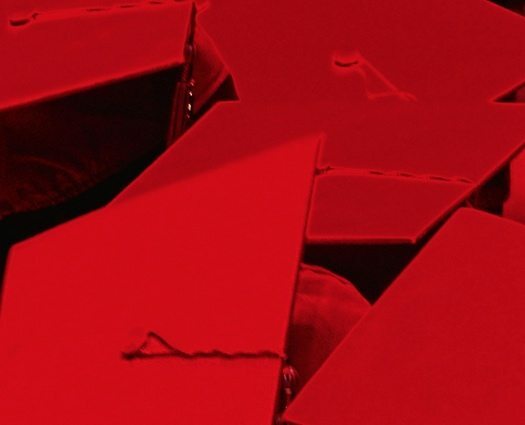 Disability Scoop notes that the report’s authors argue that existing graduation gaps for all students with disabilities can be bridged if they are given the right supports. This lag in progress is seen not only among students with disabilities, but also among black and Hispanic children, English language learners, and children from low-income families. It is important to note that the findings of this report contradict prior reports of the U.S. Department of Education’s 2014–2015 school year estimates. In October 2016, federal officials were reported to have said that graduation rates for students with disabilities were at an “all-time high.” NPQ reported on how they said that rates rose to 64.6 percent, “up from 63.1 percent the year prior and…the fourth year in a row of growth.” However, the Department of Education did warn that “reporting differences” might contribute to considerable variations in percentages that were being reported from one state to the next. For instance, while Arkansas reported an 81.9 percent high, Nevada reported a 29 percent low. So, what factors contribute to such variance across the world of secondary education reports? Let’s consider the situation on a local level. For instance, Chalkbeat recently analyzed a report released by Measure of America, a branch of the nonprofit Social Science Research Council. The article pointed out general education reporting issues. In the case of New York City, statistical variances can depend on a school’s admissions method. For instance, in the case of educational options (ed-opt) schools, they often “differ starkly in the race and ethnicity of students served” and they “often enroll mostly struggling students.” Hence, the on-time graduation rates at these schools are below 60 percent across NYC, attributable to what the Atlantic explained as being the low performance outcomes of most of their students. Another problem can be attributed to inconsistencies in how states report their data. For instance, the Opelika-Auburn News recently reported on how the Alabama Department of Education pulled their graduation rates report, citing “mistakes” they blamed on a “lack of seamless statewide course coding.” It seems relevant to note that the state was cited last year “for including students who took essential/life skills courses, or special education courses, as graduates, which federal guidelines prohibit.” Last month, Ed Week discussed concerns about the lack of standards regarding accounting for students with disabilities in school’s success rates. These types of prevailing inconsistencies lead to conflicting reports that do nothing more than add to the inequities we are supposed to be protecting our most vulnerable children from in the first place. Whatever the case, we all know that more should be done. John Bridgeland, CEO and president of Civic Enterprises and one of the GradNation report’s co-authors, stresses how the findings of the report signify that, when it comes to addressing the graduation gaps of students with disabilities, more must be done on both state and national level. In 2015, about half of the country reported high school graduation rates of 85 percent or higher, putting more states on track to reach a 90 percent graduation rate by 2020…But our country must do more to achieve equity across state lines. It’s time to sharpen our focus on the hardest to reach populations and work to elevate them to success.